Figs mark the end of summer for us and are something we often associate with Easter. Figs are one of those fruit that have a short season, and when they’re available we gobble them for breakfast, dessert and pre-drink nibbles. Figs go wonderfully with with cheese, particularly mozzarella, blue cheese and goat’s cheese. 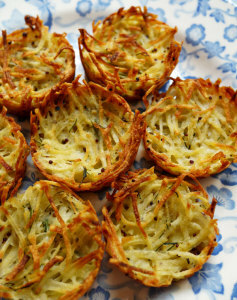 I like them stuffed with blue cheese or goat’s cheese and roasted quickly in a very hot oven. They’re also beautiful when paired with cured meats like prosciutto or ham and drizzled with aged balsamic vinegar and olive oil. Figs are very delicate and perishable, and it is not a great idea to pick figs that aren’t completely ripe as they don’t continue to ripen once they’re off the tree; they may soften after a few days at room temperature, but they don’t develop the same flavour. We get our figs from heritage trees which grow wild down at one of our local beaches, and we like to pick them when they yield to a gentle squeeze but don’t feel mushy. The earthy sweetness of the figs is well complemented by the tang of yoghurt; we liked to use coconut yoghurt. 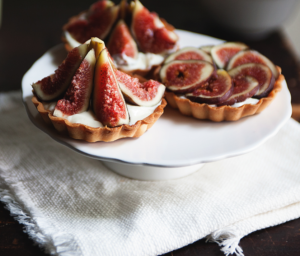 We poach the figs in honey and vanilla and pile them onto sweet pastry cases. We then serve them dolloped with yoghurt, a wee sprinkle of cinnamon and a topping of walnuts, pistachios or almonds. They’re good. 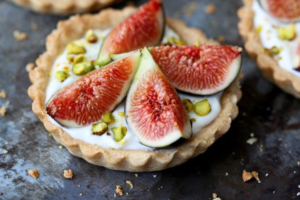 As stewed figs also freeze well, we can serve up our fig tartlets outside autumn. I can serve them to our guests all year round, or as long as they last without being gobbled up! Again, as with the other blog posts, the photo on the right is not mine; I am hopeless with a camera, even on a phone. This “found photo”, however, is pretty similar to how our fig tartlets look when served up as brunch or breakfast treats (except we add more figs). We got our inspiration for these goodies through a recipe from Wendy Campbell’s French Bistro which was in Martinborough. 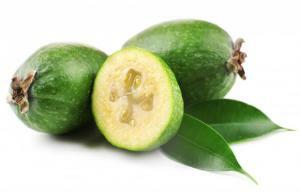 These feijoa fritters are a firm favourite of my friend Debbie. Her granddad used to make them every autumn. 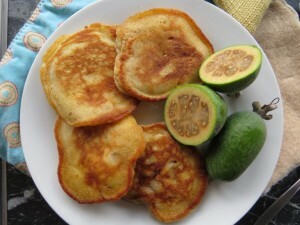 These breakfast feijoa fritters are really feijoa filled pikelets and are best served quite warm. This recipe makes about 20 fritters and takes around 30 minutes. Mix the sugar, sifted flour, salt and baking powder in a bowl. In a separate bowl beat egg and milk together. Make a well in the dry ingredients, add egg and milk mixture and combine. Add the cooled melted butter and mix thoroughly. Finally, fold through the finally diced and mashed feijoas. Add tablespoonfuls of the mixture to a medium-hot fry pan until bubbles start to appear. Flip and continue to cook until golden brown on both sides. Transfer cooked fritters onto a paper-towel lined plate in the oven. Serve warm with a sprinkling of icing sugar. These are also very nice served with a dollop of lemon yogurt. 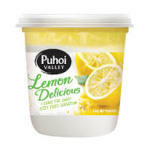 We quite like to use the Puhoi lemon delicious yogurt. 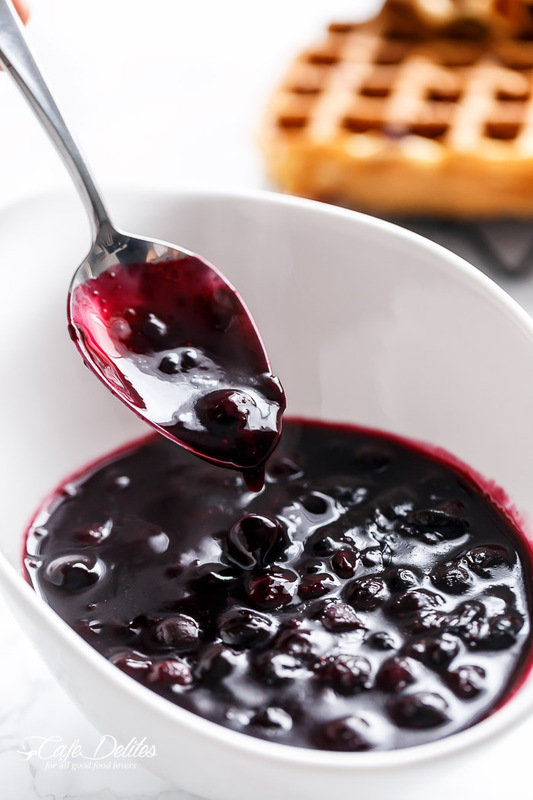 We serve this blueberry sauce with our breakfast waffles. It can be made with both fresh or frozen blueberries. Frozen blueberries actually work best. Thick and sweet, this is a quick, easy sauce and perfect for topping waffles. We always serve the blueberries and waffles with a dollop of cream cheese. 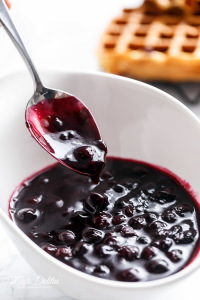 Place 1 cup of blueberries in a small saucepan. Cover with water and add sugar and vanilla. Heat over medium-high heat until mixture comes to a low boil and blueberries just start to break apart. Add the dissolved cornflour to the saucepan and bring the mixture to a boil. Turn the heat down and simmer for 2-3 minutes, or until sauce reaches desired consistency. Add more water, one tablespoon at a time, if the sauce gets too thick. Remove from the heat. Add remaining 1/2 cup of blueberries and stir gently. Warm a little before serving to thin the sauce slightly. A recipe for a special little breakfast I found on Pinterest! 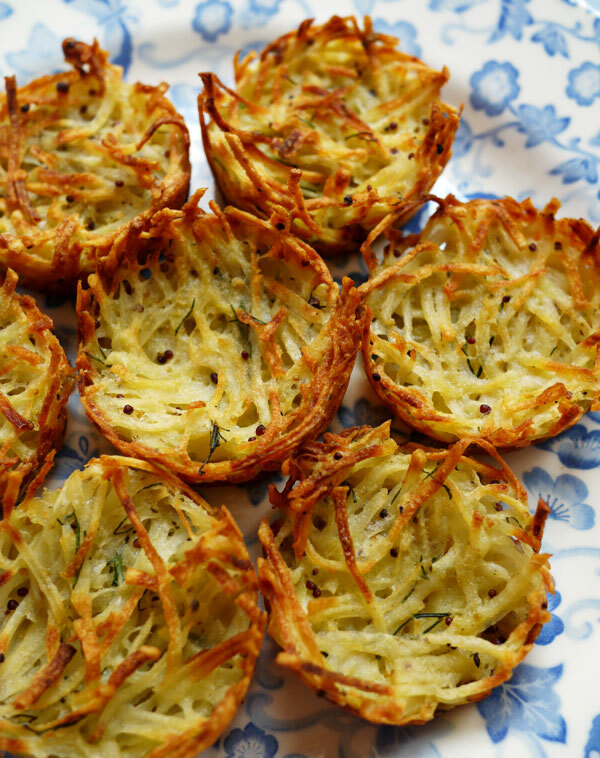 They look gorgeous, are interesting, tasty, reasonably healthy and wonderfully simple! Our guests really enjoyed them as they were not too heavy or “cooked”. Great for a breakfast on the deck with good coffee, fresh fruit and a fruit smoothie (and a sneaky blueberry danish as well). 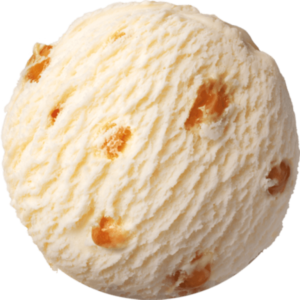 The toppings can changed around depending upon what is in season. 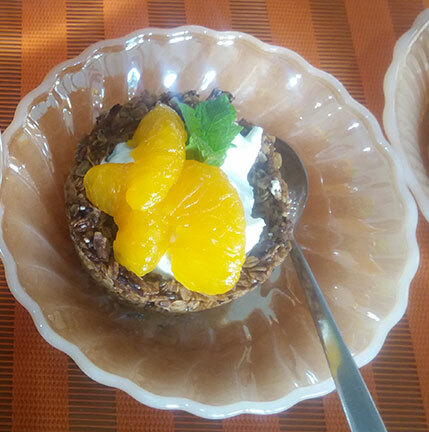 I made these when we had no fresh berries at hand, so I used mandarins as well as bananas and grapes. It’s pretty important to use a tasty thick Greek style yogurt as the filling needs to be quite firm or the cups could get soggy. Use whatever fruits are in season and nuts that take your fancy and enjoy. This recipe makes 4 -5 small tarts so I doubled it. 1 cup natural yogurt or coconut yogurt (I used Puhoi Greek yogurt which is already quite sweet). 1 tbsp honey, stevia or other sweetener (I didn’t add any sweetener). 1 tsp vanilla (I didn’t use any). Pre-heat the oven to 180. Combine rolled oats, coconut, chia seeds and cinnamon in a large bowl, set aside. Melt oil and honey in a small saucepan over a low heat. Pour melted oil & honey over the dry mixture and stir to coat well. Place spoonfuls of the mixture into greased muffin tins, using the spoon to press in as much as possible. Bake for around 15 minutes, checking to ensure they don’t brown too quickly. 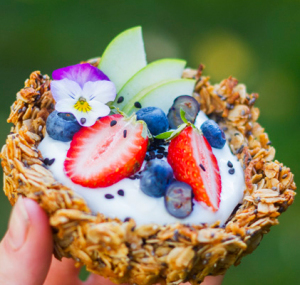 Add spoonfuls of the yogurt mixture into each muesli cup and top with fruits of your choice. I served these in small individual dishes. 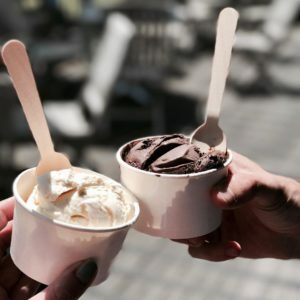 This recipe and lovely photo came from http://pheebsfoods.com. The not so good photo was the one I took! Thanks to Sarah Barnes from http://www.tamingtwins.com for this great recipe. These rostis are quick to whip up and they freeze beautifully. I slightly undercook the rostis so they can be freshened up in the oven for a couple of minutes. These breakfast rostis are great to have on hand as a gluten-free option. Peel and grate the potatoes and then squeeze out all the liquid by piling the grated potato into a clean muslin cloth or tea towel and twisting it together into a ball, hard. Stir in the mustard, beaten eggs, plenty of salt and black pepper. Brush 2 muffin trays (24 holes) with the melted butter and pour the rest of the butter into the potato mixture and stir. Divide the mixture between the tins, pressing down into each muffin hole. Bake for about 20 minutes or until golden and crisp. When the rosti are cooked, allow them to stand for 5 minutes, before loosening the edges with a round ended knife and ‘popping’ them out. Fill the rostis with sour cream and top with slices of avocado, smoked salmon and a slice of fresh tomato. Sprinkle with fresh dill, a wee drizzle of balsamic glaze, salt and pepper. We take breakfast to our guests in their room where they can eat it in the lounge or on the deck enjoying the views out over the park and Hauraki gulf. We’re only 45 minutes from Auckland and close to Orewa, Warkworth and Matakana.